In the package, two trucks and three semitrailers, in reality, their prototypes are produced in the city of Miass. Ural M truck: the price is 30000 (250 euros per day), the capacity is 270 hp, max. speed 90 km / h, fuel tank 290 liters. 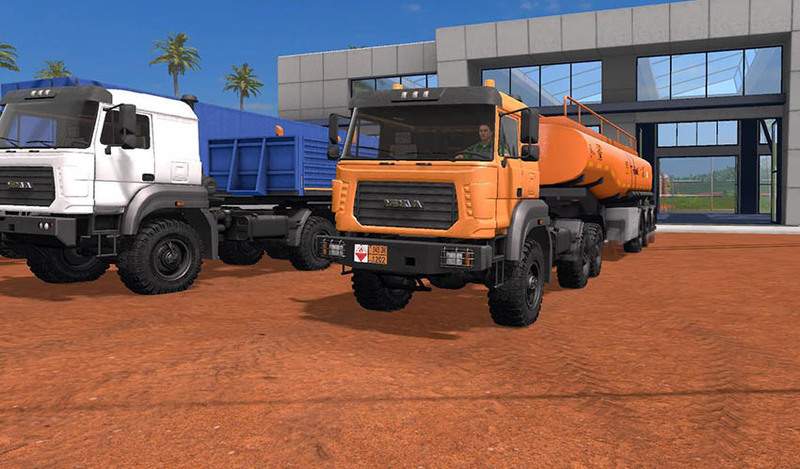 Urals The second truck: the price is 38480 (0 euros per day), the capacity is 240 hp, max. speed 70 km / h, fuel tank 560 liters. 3 trailers: Semitrailer awning, Semitrailer onboard, Semitrailer tank. 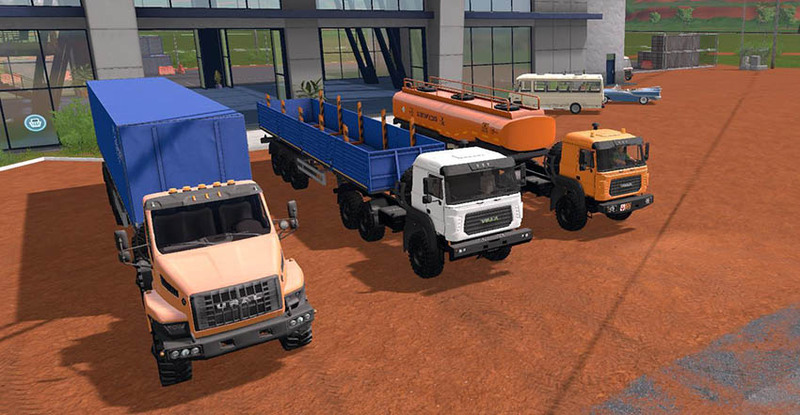 In version 2.0 Ural Next is added.